Nestor Boyett Funelas, Artistic Creative Director with Sole 180 talks about the performance. 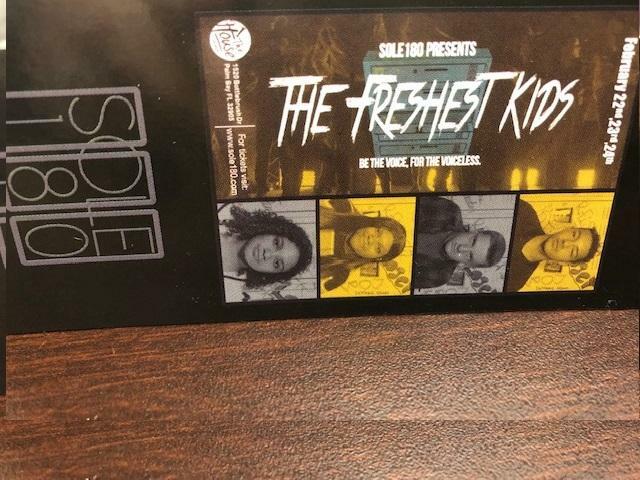 We are at it again with another compelling production titled The Freshest Kids! Reserve your tickets as seating will be limited, we hope to see you there. Sole180 is a cutting edge urban live show production company consisting of inspiring vocal performances, high octane dances, and memorable thought provoking acts. Our focus is simple, our aim is direct; to inspire creative purpose and direction for the artist while cultivating artistic value to audiences around the world. Nestor "Buyett" Funelas-Founder/Owner-Artistic Director - Nestor moved to New York and Los Angeles California from the small town of Palm Bay, FL for Music and Dance, while in New York and LA, he studied in critically acclaimed training facilities such as Broadway Dance Center, Steps on Broadway, Millenium Dance Complex, Movement Lifestyle, Debbie Reynolds, IDA (Hollywood) and Edge. He toured the country with All Access Productions after having attended the University of the Nations for a degree in theology and performing arts, after many years of teaching and performing throughout New York and Los Angeles, Nestor saw a need to break away from the traditional molds of the industry and musical theatre and merge his performing arts experiences with a message of hope and change for a new generation. In 2011 Nestor moved back to Brevard County Fl. where he developed and launched Sole180 Productions.